Mr. Mattingly (DOB 07/20/86) is charged in connection with a shooting which occurred on March 17, 2018 at Cole’s Place nightclub located at 2928 West Kentucky Street. During a physical altercation inside the nightclub, the defendant produced a handgun and fired at least eight shots, striking six victims. The defendant was able to be identified via video surveillance. A Jury Trial began on January 29, 2019 and on February 6, 2019, the defendant was convicted of all charges. The Jury recommended a sentence of 40 years in prison. Final Sentencing is scheduled for April 11, 2019 at 9:15 a.m. in Division 11 of Jefferson Circuit Court. Doug Meisel and Andrew Reinhardt are the prosecutors. Mr. Blankenship (DOB 08/31/54) was charged with the November 28, 2016 deaths of Michael Eilen and Kenneth Hodges. On that day, the defendant was travelling down Taylorsville Road, at a rate of 98 mph, driving erratically and crossing back and forth across westbound lanes of traffic. The defendant struck the raised concrete median in the middle of the roadway and nearly overturned just before the collision occurred. Mr. Eilen and Mr. Hodges were out on their afternoon lunchbreak when their vehicle was struck and were pronounced deceased at the scene. A Jury Trial began on January 29, 2019 and on February 4, 2019, the defendant was convicted of two counts of Reckless Homicide, each count carrying a penalty of up to 5 years in prison. The Jury recommended each count run consecutively for a total of 10 years in prison. Final Sentencing is scheduled for April 12, 2019 at 9:00 a.m. in Division 6 of Jefferson Circuit Court. Justin Janes is the prosecutor. Mr. Lee (DOB 04/02/92) is charged along with co-defendants Montre Dwayne Litton and Levell Alfonso Yarbrough, Jr., for a robbery which occurred on January 13, 2019, in which they advertised a vehicle for sale but then stole cash at gunpoint from the teenager who met them to purchase the vehicle. The first pretrial conference is scheduled for March 25, 2019 but a Bond Hearing for Mr. Lee will be heard on February 13, 2019 at 9:30 a.m. in Division 12 of Jefferson Circuit Court. Elizabeth Jones Brown is the prosecutor. Mr. Goff (DOB 09/24/95) is charged in connection with the armed robbery of a Game Stop located on Raggard Road on June 8, 2016. After a female co-defendant entered Game Stop in order to scout it for the Robbery, Goff and a juvenile co-defendant then entered the store. They were hooded and wore bandanas. The juvenile pointed a loaded handgun at the clerk, and both robbers immediately shouted demands for the business cash. Goff jumped over the counter and filled his backpack with business cash from the registers. The store clerks cooperated fully with their demands. Nevertheless, both clerks were struck in the head with the pistol and injured. The victims were transported by EMS to the hospital emergency room for treatment of head wounds. The defendant fled with his complicitors and around $1,200.00 in business cash. 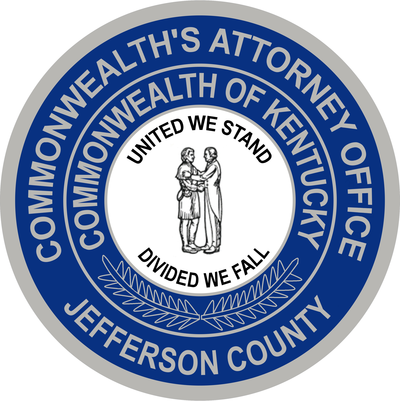 A Jury Trial is scheduled for Tuesday, February 12, 2019 at 9:00 a.m. in Division 12 of Jefferson Circuit Court. Critt Cunningham and Jennifer Bell are the prosecutors. Mr. Willis (DOB 09/10/64) is charged with the July 12, 2016, shooting death of Ashley Springgs at 2323 W. Muhammad Ali Boulevard. A Jury Trial is scheduled to begin on February 12, 2019, at 9:30 a.m. in Division 6 of Jefferson Circuit Court. Kaleb Noblett is the prosecutor.